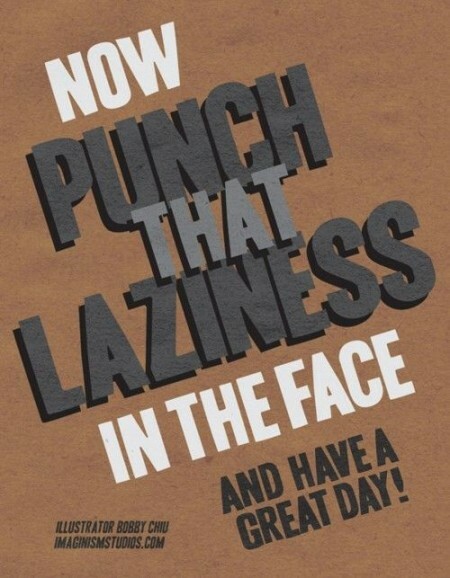 Now punch that laziness in the face and have a great day! I started thinking about punching laziness and it seemed like such a weird concept. 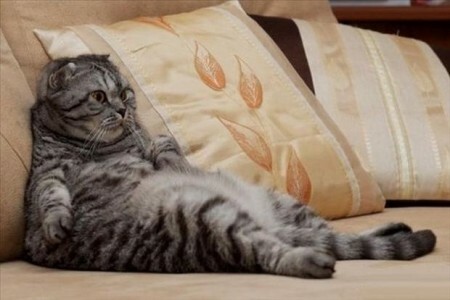 I kept envisioning a lazy cat and I didn’t want to punch it in the face at all. When I did an image search for laziness, I mostly saw people SLEEPING. Men, women and kittens sleeping. Maybe you’re not lazy. Maybe you’re TIRED. Make sure your workout routine isn’t too strenuous. If it is, then you won’t want to exercise because you’re TIRED, not because of laziness. If the thought of working out today sounds horrible and you are feeling lazy, try this. Give yourself permission to do an EASY workout. Tell yourself that you’ll go slow and easy for twenty minutes. That’s it. That’s all you have to do.